One of the most versatile products, they can be used in almost any situation. 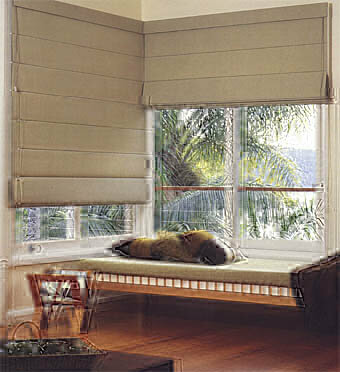 The great advantage of a Roman blind…it can be made from virtually any fabric. We also offer the popular casual canvas Roman blind. 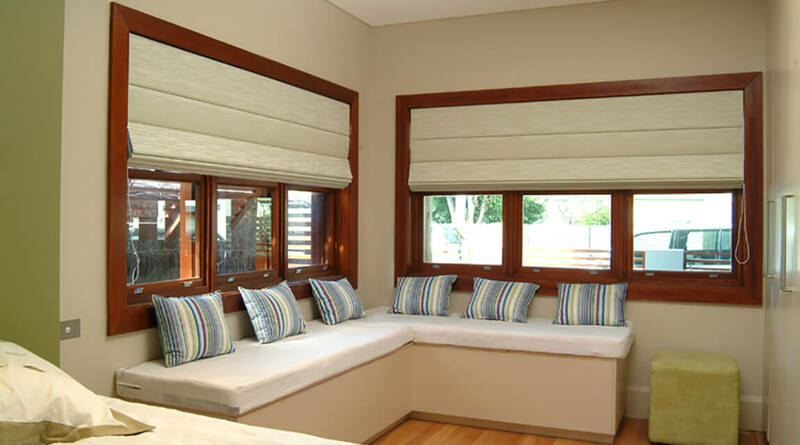 Contemporary or classic, Roman blinds suit any situation. The casual look of the LUXAFLEX® Roman Shade creates a comfortable yet stylish setting. LUXAFLEX® Roman Shades combine the look of soft fabric with a new, simple and easy to use componentry system. With a comtemporary look and feel, LUXAFLEX® Roman Shades are available in a range of fabric types including room darkening, translucent and the popular ULTRAWEAVET Plus and ULTRAVIEW® Plus Sunscreen Fabrics which allow you to enjoy your view whilst providing a level of daytime privacy. With a colour range of versatile neutrals and fashionable tones, LUXAFLEX® Roman Shades are a welcome addition to any home. Australian made fabrics available in a wide choice of modern colours. Neutral flocked backing on certain fabrics. Slimline timber head rail with matching fabric valance. Aluminium extrusions for durability. Will not warp like some timber battens. Many LUXAFLEX® Window Fashion fabrics are treated with SANITIZED® Antimicrobial Protection to resist bacterial and fungal attack. Some LUXAFLEX® Roman Shade fabrics have also been treated with TEFLON® Fabric Protector to resist soiling and protect blinds from stains. For a window fashions solution that’s as modern as it is practical, the choice is LUXAFLEX® Roman Shades.